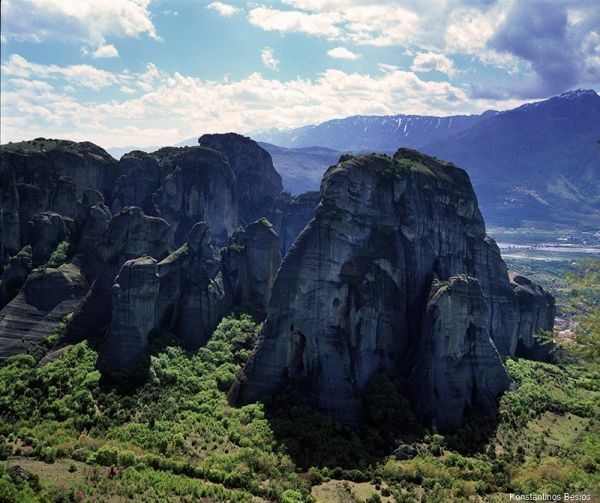 Few tips and ideas to make a memorable visit in Meteora. The majority of our 3 million visitors tend to organize very hasty trips to Meteora of just 1 day or even less of only few hours! Visiting the area and all the monasteries in only 1 day let alone in few hours is next to impossible. The monasteries are generally open to all visitors from 9 am till 1 PM and from 3 PM till 5 PM /6 PM (according to summer or winter season). Wishing to see a specific monastery on a specific day is not always feasible, as each one has its closing days through the week. All monasteries are open in the weekends. If you do not have a car and you cannot spend the night here, you can always choose to follow the guided half-day Meteora tour from Apr-Oct, with prices from 18 to 25 Euro per person. 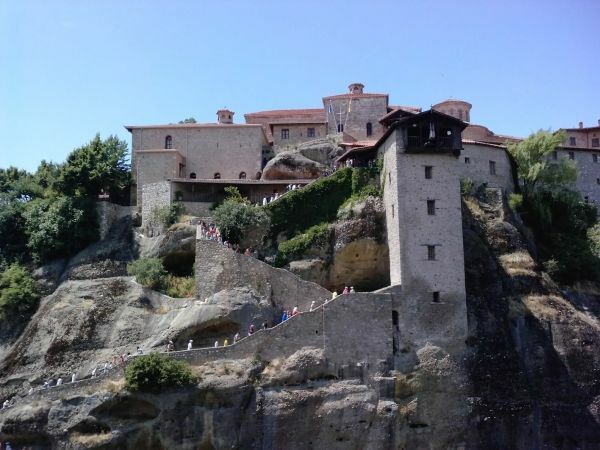 This guided sightseeing tour would be the perfect introduction of the Meteora area and the monasteries for first-time visitors, in an effort to make the most out of any one-day stay. A second day to spend allows for a more relaxed pace and the opportunity to see more of the surrounding landscape, especially if exploring it on foot. There is no better way to enrich your stay than to join one of the hiking tours or simply an organized guided visit to the monasteries. And if you feel ambitious enough, why not try climbing. Those activities are now all bookable online through Visit Meteora’s website. Enhance your stay in Kalampaka or Kastraki with a day-trip to one of Greece’s most significant ancient sites. On your third day while visiting Meteora why not making a day-trip to Delphi, the religious center of the ancient Greek world, where the famous Oracle provided prophecies to all visitors in god Apollo’s temple. Enrich the three-hour-drive with a further stop at Thermopylae, one of the most renowned battlefields, where the famous 300 Greek Spartans were challenged by the Persian Empire about 2500 years ago! Visit the most interesting local museum (Innovating information Historical center at Thermopylae) for a virtual demonstration of one of the most famous battles in antiquity! 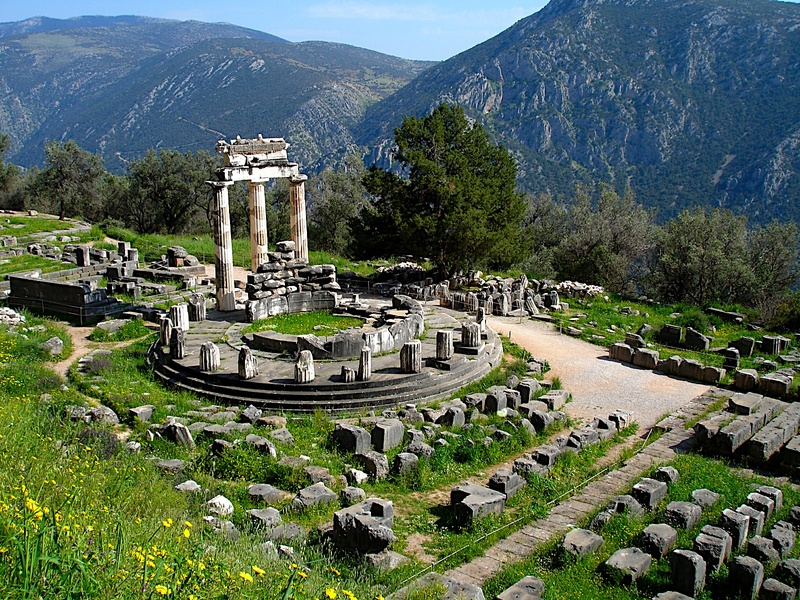 For adults the day-trip to Delphi costs 45 Euro and childs from 30 Euro. If you travel from Meteora to Delphi don’t waste a whole day changing buses or trains and waiting long hours on KTEL bus stations while you can book online this day-trip from Meteora to Delphi and back!! If you want to travel to Delphi and for whatever reason don’t wish to return to Meteora you can always take this day-trip one way to Delphi for just 35 Euro! Explore the Pindos mountains near Meteora!!! A trip to the Aspropotamos (“white river”) region should not be omitted. It is a striking location in the nearby Pindos mountains, where a variety of wild life is met and where man has left his mark in the construction of many beautiful old monasteries and medieval bridges. Express your adventurous spirit through a selection of outdoor activities, such as mountain hiking, horse-riding and rafting, and have an amazing time! Don’t forget to pay a visit to Theopetra cave, some 5 km outside Kalampaka, and check out the oldest man-made structure in the world, or the Neolithic burials and the footprints of a seven years-old child that lived some 40.000 years ago! There is no greater feeling than travelling in the past as far as 60.000 years ago. 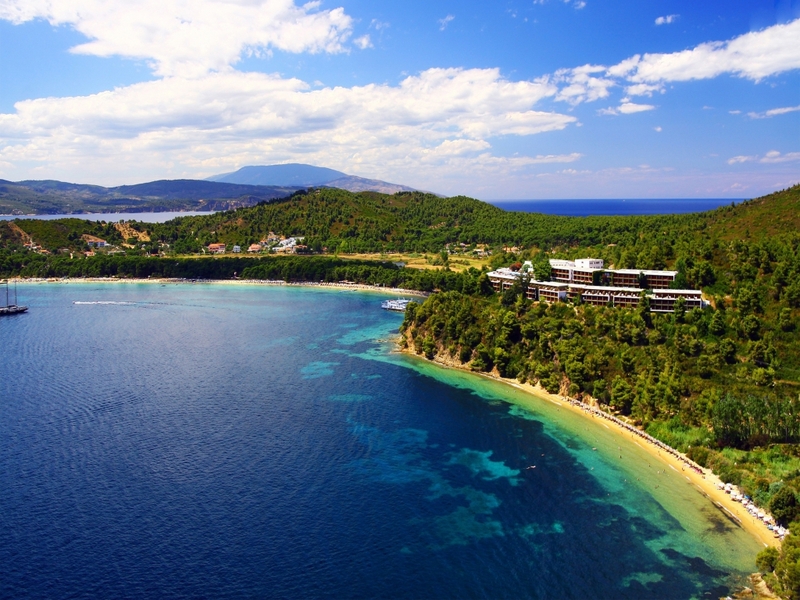 And for last take a daily cruise to the fabulous green island of Skiathos, one of the most popular destinations of Greece is now available from Kalampaka and Meteora. The port of the little town of Achillio where the boat awaits you is a 2-hour drive from Meteora. Once in Skiathos, tune in with the island’s life and architecture, but mostly with the infinite blue of the sea and the playing dolphins that very likely you will encounter during your cruise. Discover the amazing, off-the-beaten track coral beaches! After a full day’s adventure and despite the sweet fatigue, you will definitely not regret this choice. This daily cruise to Skiathos from Meteora (May-Oct) costs only 50 Euro/per person including bus transfers and boat tickets, or if you wish to travel to Achillio port with your own vehicle boat tickets cost 20 Euro/per person.